Hi there! 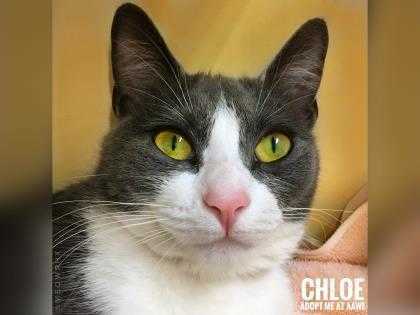 I'm Chloe!I'm a young sweet little lady looking for my forever home! I'm friendly, outgoing, affectionate and playful! I'm not a fan of other cats so I ask to be the only princess please! Come see me today and I promise to make you smile! Come see me and my adoptable friends at AAWL's Sonia Breslow Adoption center!25 North 40th StreetPhoenix, AZ 85034Questions about me? Contact our shelter at 602-273-6852 ext. 103.